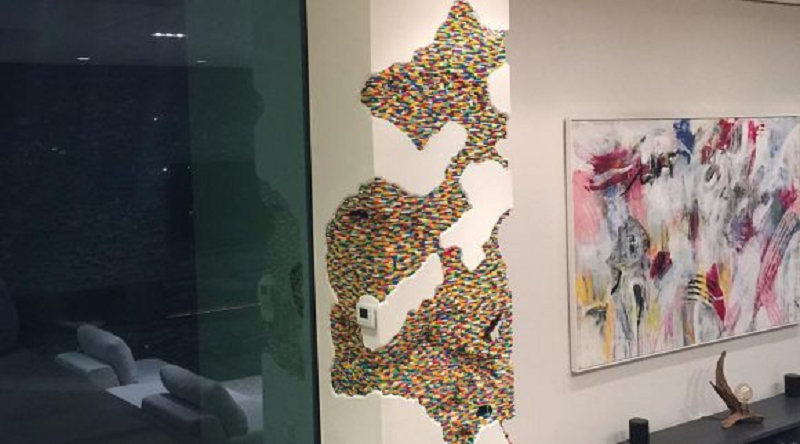 Record producer superstar Zedd has installed a piece of LEGO artwork into the wall of his home. Fans who imagine taking their love of the LEGO brick to the next level will want to see this installation by the musician Zedd (Anton Zaslavski), who has done more than display a LEGO model – he has had a piece of LEGO artwork installed in the wall of his home. Dante Dentoni is the artist responsible for the LEGO piece, that uses the negative space on a corner of the room. The LEGO wall has rooms built into it, with scenes depicted including a level from Overwatch , a room from the Las Vegas nightclub OMNIA – where Zedd has a residency – and an alien abduction. It also includes a replica of the DJ’s house. In love with this new art installation at my house by Dante Dentoni!!!! ? The scene from Overwatch is point two of Hanamura, showing D.va, Tracer and Bastion in the heat of battle. Those very characters are now available as part of the recently released LEGO Overwatch theme. Dentoni is known for incorporating LEGO bricks into wall spaces to create imaginative art installations.